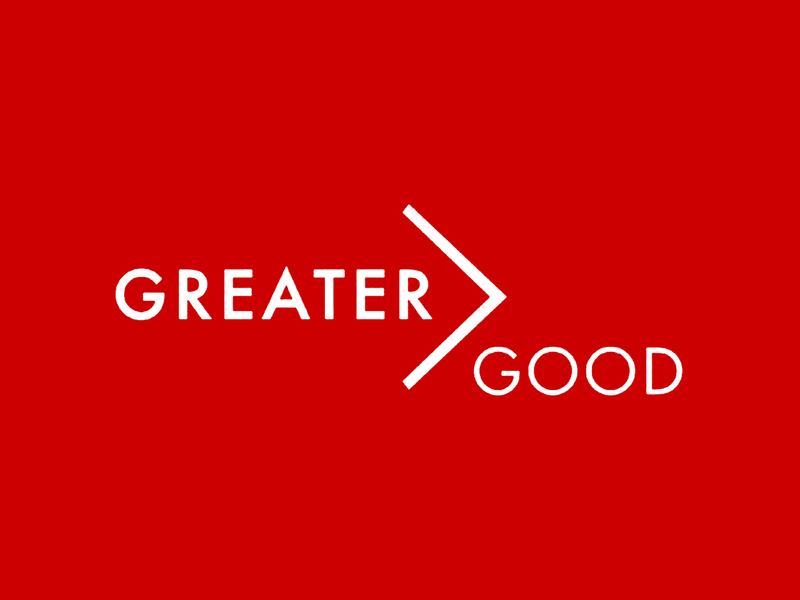 GreaterGood South Africa is an organization that connects social change-makers and mobilizing resources for nonprofits. They work together with GreaterCapital South Africa to help businesses and non-profits invest in social change and encourage others to think and act in a socially responsible manner. However, their work is lacking a few key connections and taking a big loss because of them. The greatest loss of capital and motivation is typically due to the lack of connection between people that have the know-how and people that have the ability. Giving people platforms to connect will not guarantee that a connection is made. Evaluating how strong a project’s outcomes are is difficult and subjective. In-house evaluations and monitoring are subpar given the availability of external firms that could do the job without bias. Social media access and new website creation is expensive and should only be invested in and maintained if the access is widespread and useful. Connecting those who want change and those who have the means to accomplish it is a difficult task. Connecting those in a country with eleven official languages and a diverse population with varying levels of economic opportunity is more difficult still. GreaterGood South Africa (GGSA) has created several tools that are connecting non-profits with givers. The first is ‘an online community for givers and causes’ (myggsa.co.za) and the next is a site for civil society organizations to find resources and get support (thefundingsite.co.za). GGSA has also funded many public call-to-action campaigns. They claim their reach with these programs over a span of ten years has directly invested over 54,000,000 rand to good causes and over 800,000,000 rand towards social projects and enterprises. GreaterCapital has its own social investment exchange site as well. However, the actual reach of these platforms is unclear. The process of donating money through this platform is outlined on the website and very transparent, which helps create a strong perception of myggsa.co.za. For upkeep of their website, the organizationuses 5% of all donations. This amount of overhead seems high when you consider thatKickstarter, a much larger, bigger brand platform takes the same amount. Unfortunately, thefundingsite.co.za is closed to non-profit subscribers so resources are slim. They do provide free guides for things such as online fundraising, social media, and volunteering.GreaterCapital also has its own investment network called the South African Impact Investing Network (SAIIN). The main activities of SAIIN are an annual conference for organizations to network and learn about new ideas in South Africa’s social investment world. While not directly stated, GreaterGood South Africa is a regranting organization that mobilizes resources for nonprofits. Their $20,000 grant from the Charles Stuart Mott Foundation presumably was used towards GGSA’s civil society efforts. Other money that is raised through GreaterCapital’s consulting work is also put back into GGSA’s programs. This symbiotic relationship is clearly explained in detail on GreaterCapital’s website. This openness and transparency is reassuring and builds credibility with investors. GGSA and GreaterCapital work together to provide services to businesses and nonprofits in South Africa and abroad. Important to any relevant company in this age is a strong digital presence. GreaterGood South Africa boasts 12,000 subscribers to their monthly newsletter and over 10,000 registered investors on their own social change website. Unfortunately, there is not a published newsletter since September 2013 and little activity on their funding site. A quick look at the recent activity on the myggsa.co.za site is telling: there are only a few posts for offers of services or goods and even fewer responses. What scant activity there is does not seem to have much of a reach beyond the website itself. Their Facebook page has a little over 3,400 likes, but little new traffic. Their Twitter has over 15,000 followers but they have not tweeted since early December 2014. GGSA understands the need for being present in the digital world, but seems to have fallen behind on the upkeep of their social media communications. A constant social media presence is key for remaining relevant among young, inspired changemakers. South Africa has the most developed telephone system in all of Africa and has 4.42 million Internet users as of 2009, which is about 10% of their total population. This low number of people online can account for the minimal traffic on myggsa.co.za and insignificant activity on their Facebook and Twitter profiles. If a small amount of South Africans being wired is the case, however, then why invest in this technology to begin with? Being digital and connected over social media is important, but maybe only important for companies situated in very technologically developed areas. Or is GGSA just anticipating that more of South Africa will receive Internet access? I did not find a project that was encouraging Internet access in poorly developed areas or even computer access. Thisdisconnect between the digital presence and lack of access is maybe not terribly important but the development and upkeep of these platforms and accounts is expensive. Why spend the money on them if they will not be used to their full potential?As previously stated, perhaps GGSA is anticipating greater Internet access in the future, but without the investment, will that goal ever be achieved? GreaterCapital uses the network established by GGSA to provide social impact assessments and assess a project or organization’s social return on an investment. GreaterCapital operates as a nonprofit consulting service and consults business on a new kind of goal. This trend of businesses seeking more than monetary profit from their projects is becoming more and more common. GreaterCapital really has taken advantage of a market that is thinking about social responsibility. GGSA provides resources for sustainable development projects: local, grassroots projects that promote ground-up social change. GreaterCapital’s project prospectus from June 2011 lists projects from many different sectors of development: hunger, education, disability services, enterprise development, and environment conservation. This broad multi-prong approach to sustainable development is inclusive and encompassing. This kind of development is a new kind of economic growth that refocuses funding and encourages local transformation. This focus from GGSA and GreaterCapital on sustainable development and grassroots social change is indicative of an organization that wants to see a South Africa created and funded by local changemakers that want to create change in their communities. GreaterCapital provides services to businesses and nonprofits but also provides evaluation and monitoring services to GreaterGood South Africa. The relationship of these two organizations makes me wonder how honest of an evaluation this is. Six out of eight of the team members listed on GreaterCapital’s website are also listed under GreaterGood South Africa’s staff as well. I understand this is because GGSA acts as an umbrella company where GreaterCapital is just a fund-generating branch operating under a separate title and tax number. Is this structure normal for a nonprofit? This organizational structure also raises hesitation for me because the evaluation and monitoring is basically done in-house. While this type of monitoring can be effective, monitors are encouraged to overstate the efficacy and effectiveness of their programs to generate more funding for themselves. GreaterCapital has been commissioned by the International Labor Organization to run monitoring and evaluation for some of their regional projects. GreaterCapital was chosen because of their expertise in project management and monitoring and evaluation. It’s clear that GreaterCapital can run a competent evaluation of GGSA’s projects, but it is unlikely that this report will be unbiased and without exaggeration. I think some areas that GreaterGood South Africa and GreaterCapital could improve on are their digital presence and their monitoring and evaluations procedures. They have been on the non-profit scene in South Africa for ten years and they are still around today, which is a great foundation. I think that these two groups could use some fine-tuning of their social media strategies to be more cost-effective and inclusive. They could easily find a firm to run monitoring and evaluation for their projects. In doing such, they would create even more reassurance with their investors and provide better programs for those they are trying to help. GreaterGood South Africa and GreaterCapital entered the non-profit world in 2004. Since then they have encouraged local, sustainable growth in South Africa. They set up an internal structure that generates funds, mobilizes resources for non-profits, and creates a network in South African for social change and social impact. However, the goal from the investment of technology and digital presence is unclear and missing an important link from many South Africans not having Internet access. Additionally, GreaterCapital runs monitoring and evaluation services for business and non-profits but also GGSA. This structure seems particularly susceptible to perverse incentives, which may end up hurting the effectiveness of the overall operation. This evaluation of GreaterGood South Africa and GreaterCapital shows an organization with a strong mission and clear success. But I think their unclear digital presence and lack of an external monitoring and evaluation process leaves room for improvement in the future.